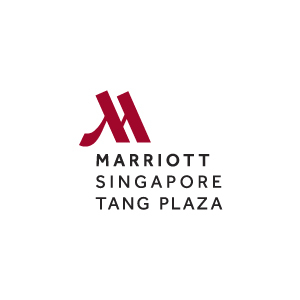 Subscribe to get deals from hundreds of merchants including the best of Marriott Cafe, Singapore Marriott Tang Plaza Hotel! Promotion Period: 01/04/2019 to 30/06/2019. Applicable from Monday to Sunday.. Maximum of 6 pax per reservation, limited to first 50 pax per day.. Advanced reservations of at least 2 days are required and made via 6831 4605.. Reservations are subjected to first come first served basis.. Discounts are applicable on food bill only, excluding service charge.. Not valid with any other promotions.. Not valid on eve of and on P.H and any occasion as deemed by the hotel.. DBS General Promotion Terms & Conditions apply, visit www.dbs.com.sg/dbscardstnc.. Please always check with the merchant on the validity of the promotion before purchase. Applicable from Monday to Sunday. Maximum of 6 pax per reservation, limited to first 50 pax per day. Advanced reservations of at least 2 days are required and made via 6831 4605. Reservations are subjected to first come first served basis. Discounts are applicable on food bill only, excluding service charge. Not valid on eve of and on P.H and any occasion as deemed by the hotel. For a party of two (2) or more, the varying savings are only applicable when a minimum order of two (2) buffets are ordered. In the event that two (2) buffets are not ordered, a 15% savings will apply. Savings are not applicable to promotional menus or à la carte menu.. Blackout dates apply: Eve of Public Holidays, Public Holidays, Special occasions (Mother's Day, Father's Day and Valentine's Day). Please refer to https://icm.aexp-static.com/Internet/IntlHomepage/pdf/Love_Dining_Restaurants_TnC.pdf for the full terms and conditions. . Please always check with the merchant on the validity of the promotion before purchase. For a party of two (2) or more, the varying savings are only applicable when a minimum order of two (2) buffets are ordered. In the event that two (2) buffets are not ordered, a 15% savings will apply. Savings are not applicable to promotional menus or à la carte menu. Valid from 2 January 2019 – 31 December 2019.. Valid with flash of Standard Chartered MyWay Debit Card and Standard Chartered Visa Infinite Cards. Payment can be made with any Standard Chartered Cards.. Discount not valid with other ongoing promotions, offers, vouchers, discounts, promotional set menus, loyalty programme or in-house offers.. Discount not valid on eve of and on public holidays.. Complimentary parking coupon redemption is valid from Fridays to Sundays with min. spend of S$150 at any hotel restaurants.. Present dining receipt at Java+ (Level 1) to redeem parking coupon.. Valid for one parking coupon redemption per dining receipt.. The Good Life® Terms and Conditions apply.. Please always check with the merchant on the validity of the promotion before purchase. Valid from 2 January 2019 – 31 December 2019. Valid with flash of Standard Chartered MyWay Debit Card and Standard Chartered Visa Infinite Cards. Payment can be made with any Standard Chartered Cards. Discount not valid with other ongoing promotions, offers, vouchers, discounts, promotional set menus, loyalty programme or in-house offers. Discount not valid on eve of and on public holidays. Complimentary parking coupon redemption is valid from Fridays to Sundays with min. spend of S$150 at any hotel restaurants. Present dining receipt at Java+ (Level 1) to redeem parking coupon. Valid for one parking coupon redemption per dining receipt. The Good Life® Terms and Conditions apply. Valid from 2 January 2019 – 31 December 2019.. Valid for all other Standard Chartered Cards.. Discount not valid with other ongoing promotions, offers, vouchers, discounts, promotional set menus, loyalty programme or in-house offers.. Discount not valid on eve of and on public holidays.. Complimentary parking coupon redemption is valid from Fridays to Sundays with min. spend of S$150 at any hotel restaurants.. Present dining receipt at Java+ (Level 1) to redeem parking coupon.. Valid for one parking coupon redemption per dining receipt.. The Good Life® Terms and Conditions apply.. Please always check with the merchant on the validity of the promotion before purchase. Valid for all other Standard Chartered Cards. Valid from 2 January 2019 – 31 December 2019.. Discount not valid with other ongoing promotions, offers, vouchers, discounts, promotional set menus, loyalty programme or in-house offers.. Discount not valid on eve of and on public holidays.. Complimentary parking coupon redemption is valid from Fridays to Sundays with min. spend of S$150 at any hotel restaurants.. Present dining receipt at Java+ (Level 1) to redeem parking coupon.. Valid for one parking coupon redemption per dining receipt.. The Good Life® Terms and Conditions apply.. Please always check with the merchant on the validity of the promotion before purchase. Offer is valid from 1 December to 30 December 2018 except eve of and public holidays at Marriott Café, Singapore Marriott Tang Plaza Hotel.. Payment must be made with an OCBC Credit or Debit Card.. Limited to first 50 guest per day.. Limited to 6 persons maximum per reservation.. Reservations must be made via 68314605 to be entitled to this offer.. Not valid in conjunction with other discounts, membership privileges, promotions or vouchers.. Merchant's terms and conditions apply. Please contact the merchant directly for full details.. OCBC reserves the right to amend the conditions of this promotion without prior notice.. OCBC shall not be responsible for the quality, merchantability or fitness for any purpose or any other aspect of any product/service. Notwithstanding anything herein, OCBC shall not at any time be responsible or held liable for any defect or malfunction in any product or the deficiency in any service provided, and/or any loss, injury, damage or harm suffered or incurred by or in connection with the use of any product/service by any person.. OCBC's decision on all matters relating to privileges or terms and conditions will be final and binding on all participants.. Please always check with the merchant on the validity of the promotion before purchase. Located in one of the most vibrant shopping districts in Southeast Asia, Marriott Café boasts an impressive international buffet spread that allows guests to indulge in only the freshest delicacies – ultimately living up to their tagline “Freshness Redefined”. Headed by Executive Chef Matthew Van Der Zwan, Marriott Café offers a wide array of scrumptious food ranging from seafood, wines, renowned Singaporean dishes, pastas, healthy salads to a variety of desserts from around the world. Guests are never left wanting with Marriot Café’s top-notch viands and excellent customer service. With emphasis on freshness and flavour, Marriott Café is easily Singapore’s go-to place when it comes to having the ultimate buffet experience. Starting from their infamous Seafood Station that serves the freshest selection of all things crustacean like crayfish, prawns, Boston lobsters, Snow Crab legs and even freshly shucked oysters and mussels, this seafood on ice will definitely meet the approval of any seafood lover. If you’re a die-hard fan of Japanese food on the other hand, Marriott Café’s Sushi and Sashimi Station won’t leave you wanting with their selection of appetizing Futo Maki, Salmon and Yellow Fin Tuna Sashimi, California Roll and Nigiri. After that, diners can turn towards the Salmon Station for a Norwegian Smoked Salmon and Gravlax Salmon with sour cream, lemon or dill mustard dressing. At the Beech Oven Station and the Hot Western Station, meat-lovers can eat their fill with the café’s extensive selection of meat cuisine starting from Roasted Australian Prime Ribs, Pork Saddle stuffed with prunes and pancetta, Braised Chicken in lemon & thyme sauce, Sautéed Lamb Pork Cheek with dry fruits and Braised Beef Short Ribs all cooked to perfection. That’s not all, guests can find their way to the Asian Hot Line Station for piping hot Spicy Beef with capsicum, Singapore’s infamous Chilli Crab, Braised Ee Foo Noodles and so much more. Marriott Café’s Salad and Olive bar is also open for foodies who don’t want to pack too much carbohydrates in just one sitting. This station has a wide assortment of freshly chopped condiments with mixed lettuce dressings, flavored oils and vinegars, imported olives, grains, seeds and nuts. Of course, let’s not forget the all time favorite Dessert Station which offers the most delectable puddings, crèmes, cakes and the most tempting flavors of ice creams and gelatos that will surely leave diners wanting for more even with full stomach. Marriott Café also offers various promotions for different occasions. For Mother’s Day, children can pamper their moms with the Queen’s Indulgent lunch, which highlights 80 mouth-watering international and local delights. But that’s not all, mom’s can also receive a goodie bag sponsored by Shiseido, Urbanhair Ginrich and M’pir. They can also win prizes such as a Future Solution LX Ultimate Beauty Collection by Shiseido, a $300 dining voucher at Wan Hao Chinese Restaurant and a Family Studio Photography Package by Firefly Photography Singapore worth $280. Aside from that, if you just want to satiate the cravings of your family, Buffet Indulgence is also available where children below 12 can dine for free with every paying adult. For more great deals and promos, visit Marriott Café’s website at http://www.singaporemarriott.com/restaurant/marriott-cafe/.